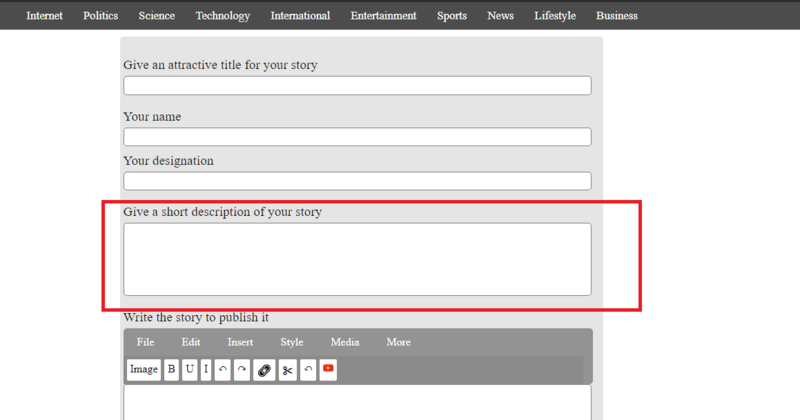 If you are new on NewsAndStory and you don't know how to write then follow these instructions. 2.Then signup on the NewsAndStory if you are new. 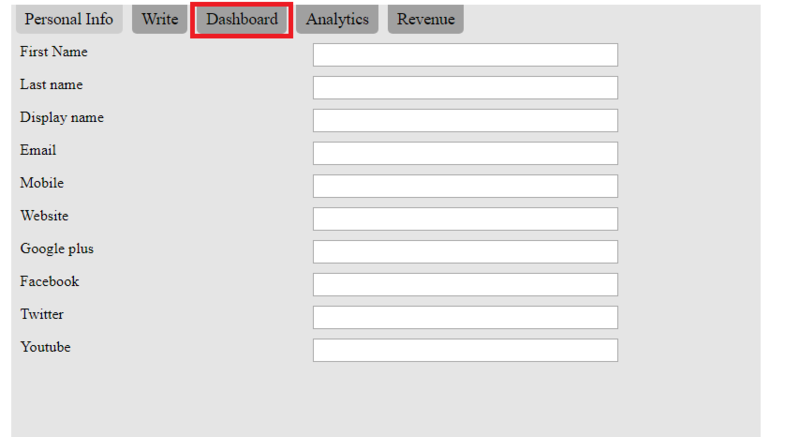 3.After clicking signup you'll see the below screen.Add the the details in the fields and submit it. 4.If you already signup then login. 5. Enter the email and password to login. 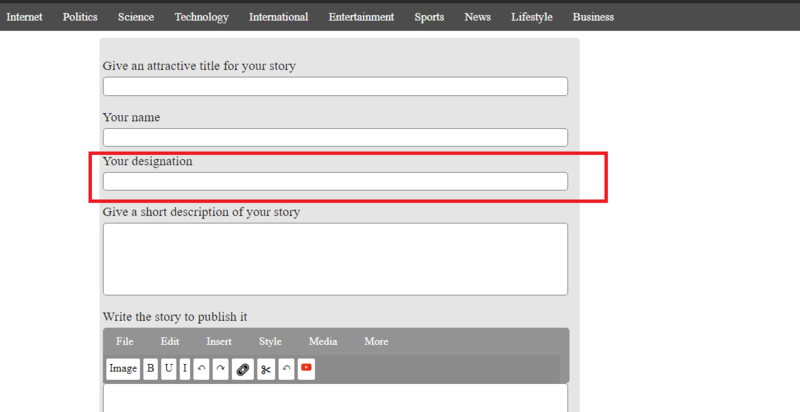 6.After login or signup you'll see the screen in image below.Click on the "write". a meaningful Title for example : How to write on NewsAndStory? 9.Then add your designation.E.g:writer at NewsAndStory. 10.After that add brief description of your story in "Give a short description of your story" section.Description can be very short intro about your story or anything that will give an overview of your story to the reader before reading the whole story. 11.Then scroll down and write a story of more tha 300 words.You can use images,add tables,video etc in your story to make it more attractive and informative.You can add tables,links etc from the drop down menu bar containing "File , Edit , Insert , Style, Media , More ". 12.To add image click on Image -> choose File->select any image from your PC and add it. 13.To add the image in story just click on the image that you already choose. 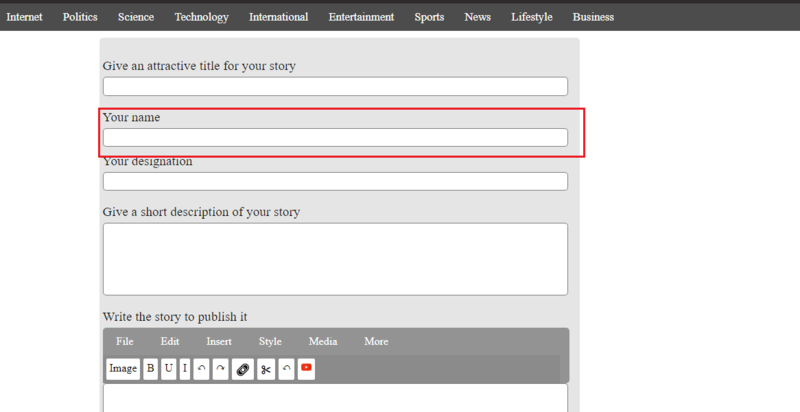 14.After writing your story scroll down and Upload an cover photo of your story.The cover photo should be related to your story. 15.You need to add keyword about your story.It should related to your story. 16.Write the category of your story.The main broad category about which you are writing. 17.Finally at the end click to submit your story and you are done. 18.To go back to write another click on the email. 19.If you have done something wrong then click on dashboard. How to Apply for the US VISA?